On Friday 10th July 2015 Women’s Community Matters had their first Being, Feeling, Keeping Safe Event. The women had been part of the project since January 2015 and on Friday they graduated after completing from between 20 – 50 session. The event was planned by the women who took part in the project and it was a huge success! 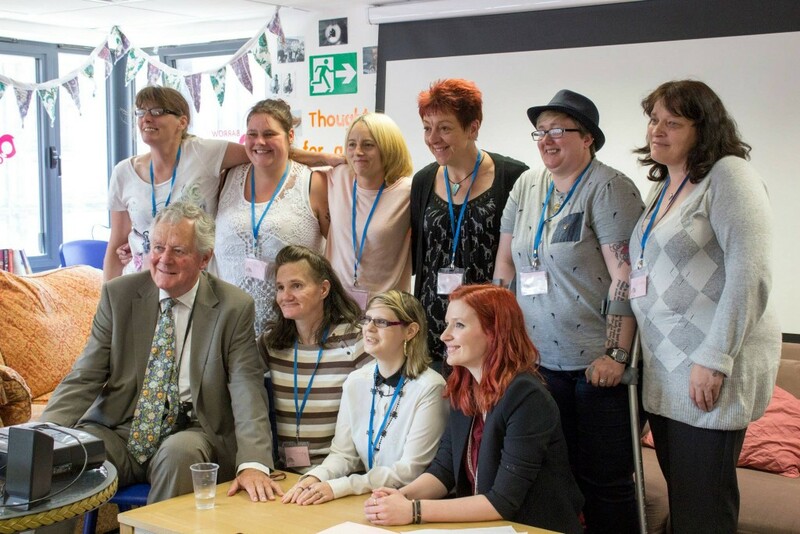 The Police and Crime Commissioner, Richard Rhodes, funded the project and attended to see the women graduate. The mayor, Ann Thomson, and MP, John Woodcock, also attended the event. Thank you to all the professionals who have delivered sessions to our group of women – they have grown so much over the last 6-months and are truly inspirational. May I thank everyone for this life turning experience its been a huge emotional tough journey but happy as well. I always say im WCM success story i started in April 2014 I was trembelling on me first visit but even standing a step in i hard this warm feeling in my body I stayed assisted by my amazing Local area co-ordi.ator Paula warriner for a brew even I was introduced to others I couldn’t give them no eye contact or join in . Paula picked me up once a week to try to get back into a company embodiment i was hid bhind closed doors never left my home I was very suprised how quick I fit in Claire and lou to committed volunteers never left my side I started a buietiful woman course after only 8wks of being there my god it was tough it is run by a insperational lady Katy Scott and wow a heart of gold is a understatement she is a calm kind compassionate lady who never forces u to speak I completed the course I enjoyed it but didnt feel I’d contributed as much as I wanted i saw kety in private and asked her if I could redo the course again and wow so glad i did I met a very close friend who helped me come out me shell so much I couldn’t wait for each session to come I opened right up in this one which took that burden.and guilt away i could share the toughest time in my life and cry u had no short hugs u could keep those hugs in life when low knowing when u see them.again a hug was waiting my close friend I met also had two lovely boys who were like nephews to me and she then helped me get out when I wasnt in centre this friend will always hold a place in my heart anyway as u can c by reading this I’ve completed all the courses im very proud ive found this kind warm safe place to go I’m now more confident I love seeing new ladies i share my story to them and only recent I was asked to speak to a lady who was a four of me wheen i came in I have told her I’m so proud of how well she’s doing but what touched my heart was hearing her say “I’m proud of myself”. That brought a lump to my throat she’s attending all she can and in september she’s gonna give a course a go . I am now a lady whos happiest seeing others come in and truely succeded I would say this place has saved my life in many ways i did a presentation on this more recent project I was hounered katy putting all her faith in me I was nervous as a lot of wonderful organisations were there,Richard Rhodes who funded the peoject our lovely lady mayor,WCM trustees ,katy and rebbecca and to be honest once i started I was fine it went well is been working on it for well over a month i choose a song which i felt appropiate which was Leon jaxkson but i choose it for its words as”You can achieve if you believe ” and that is true . I will continue to do my best to make sure women who like me saw no future to where I am now that they will achieve I have faith in most women that come in and I will continue to make them feel welcome comfotable and share my story the women’s centre is now blooming we have a lot of new people and would love to meet more take it from me ill share my story and let women know we don’t judge ,we don’t tolerate gossip or bullying its dealt immediately if you arent happy with anything ,you arent forced to speak, we respect es h other ,its a confidential place and always have our volunteer Nicola bull who will take you in private , nobody is better than noone , we have help with benefit forms, housing issues, and theres always help you need so please come along join this marvellous safe environment brew and our clothes bank which people donate some buetiful clothes for free we are linked in with agencies so wcm can help u in the right direction.and join our big happy kind caring place you will be welcomed with a warm smile and look forward to seeing you there .